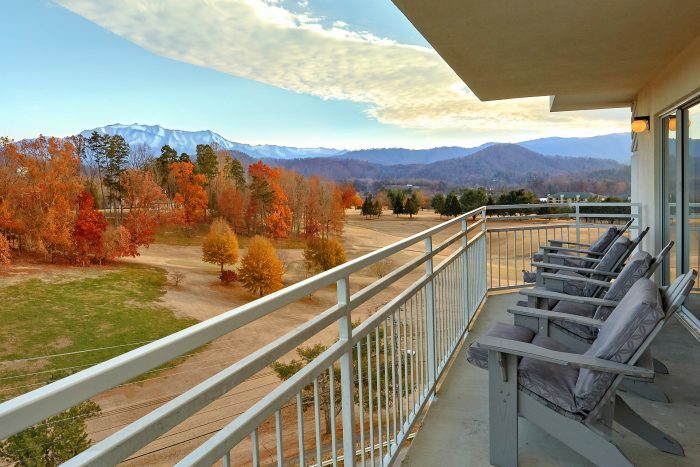 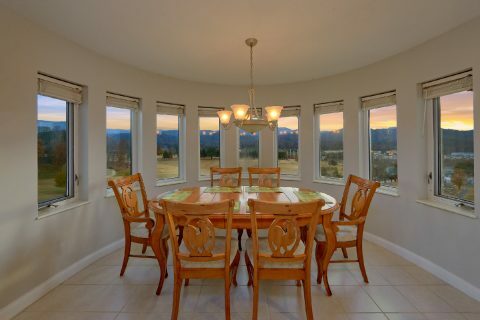 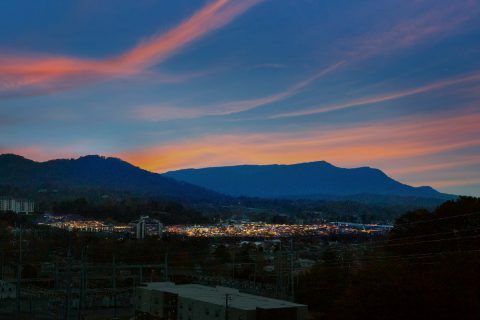 Located in the Golf Vista Condo complex, "Vista View" is an excellent 2 bedroom condo rental that's less than a mile from Downtown Pigeon Forge in the Smoky Mountains! 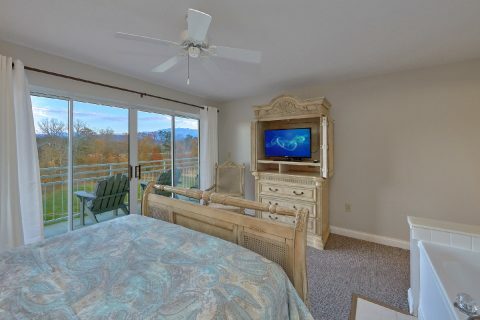 Not only does this condo place you across the street from the Gatlinburg Golf Course, but it also keeps you close to Dollywood Theme Park, which is only 2 miles away! 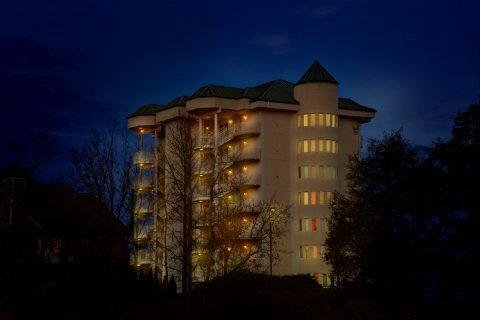 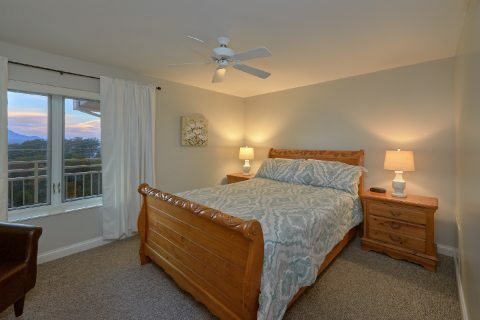 After a great day spent riding roller coasters at Dollywood or exploring fun attractions on the Pigeon Forge Parkway, you can look forward to unwinding in this spacious 2 bedroom condo. 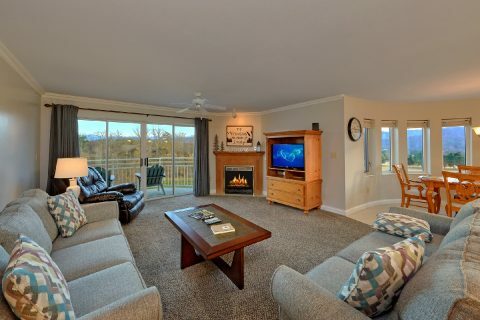 The main living room features a gas fireplace, a television, comfortable furnishings, and windows that showcase this condos view of the golf course and nearby mountains. 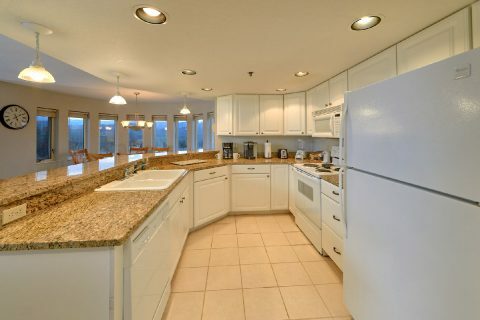 Nearby, your condo's full kitchen and dining area are perfect for enjoying a delicious meal with your family. 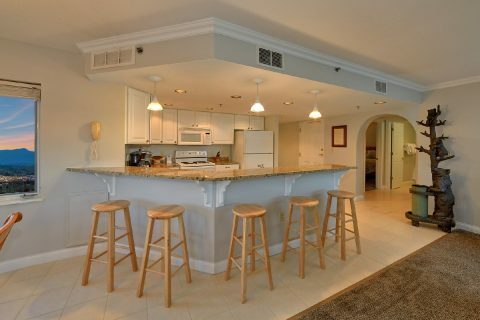 Outside, there's also a community gazebo and park grills if you'd like to plan a barbecue during your stay. 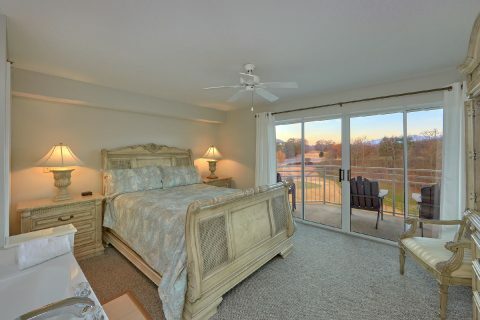 For staying well-rested during your trip, this condo features 2 queen-size bedrooms. 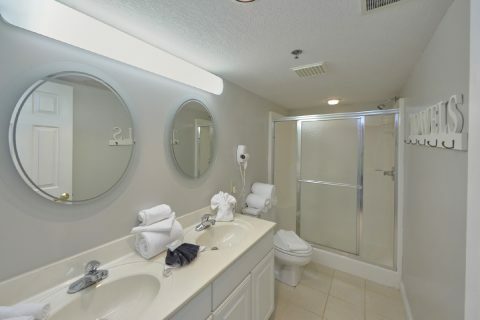 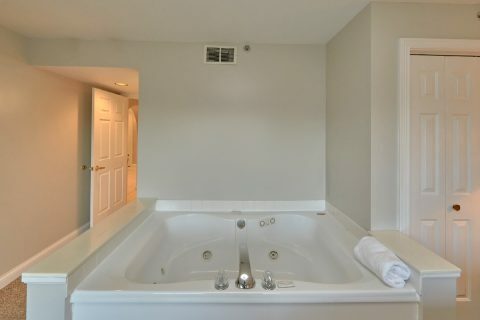 One of these is a master bedroom that comes with a jacuzzi tub, balcony access, and a double vanity. 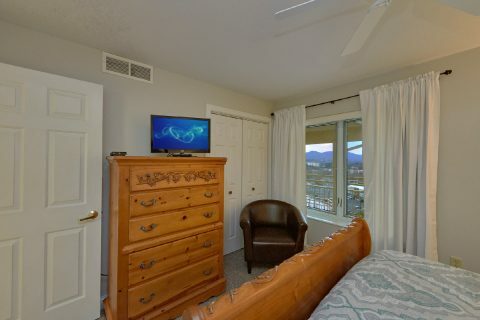 For additional guests, there's also a sleeper sofa, so "Vista View" can accommodate up to 6 vacationers. 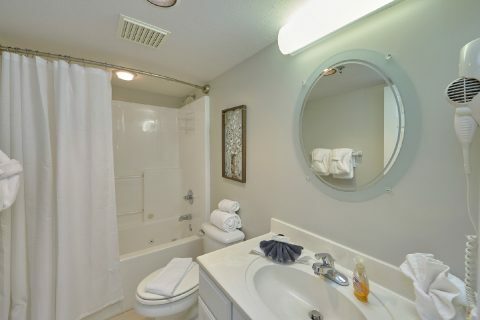 Lastly, this condo features other useful amenities like WiFi Internet, a washer/dryer, and an elevator in the building to make your stay in this top-floor condo truly relaxing. 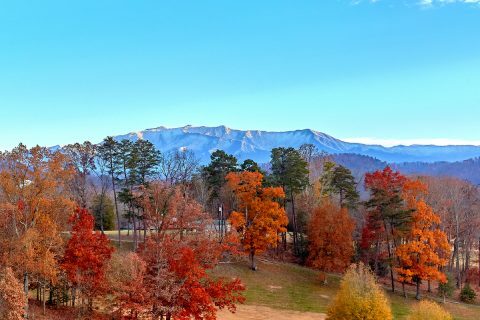 Book "Vista View" today with Cabins USA Gatlinburg to save 15% on your nightly rate in the Great Smoky Mountains of Tennessee!